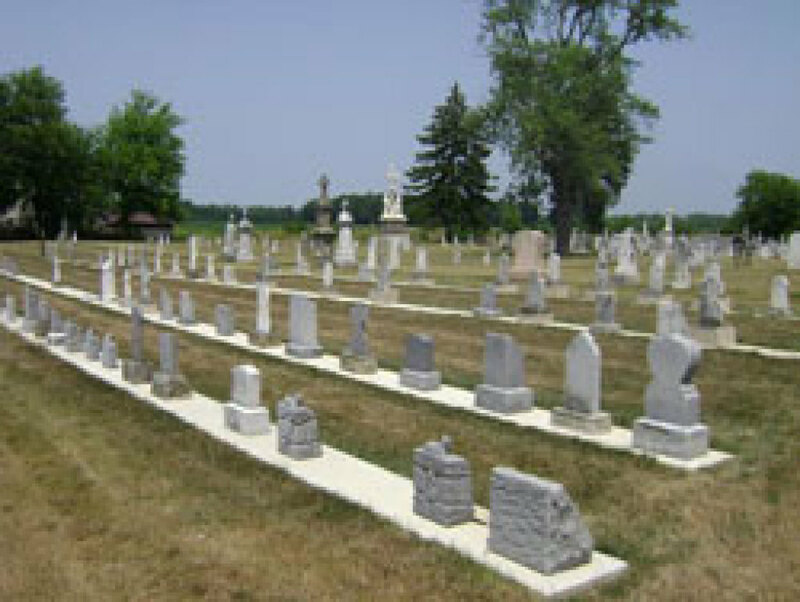 Grave markers are assigned a row number beginning on the east side of the cemetery. The first stone is closest to the church. Grave sites that do not have any visible marker do not have a site number. There are 28 rows. Rev. William Bigot, Pastor of St. Michael from 1874 to 1906, is buried at the center of the cemetery between rows 17 and 18 on the far north end.